No matter what your views on climate change, whether you think it is a clear and present danger caused by man, man-made but not a crisis, or simply not happening or caused by humans at all, we should all agree that the ability to discuss and debate the issue is fundamental to being an American and must be defended at all costs. Unfortunately, New Mexico’s attorney general, Hector Balderas, has joined with more than a dozen attorneys general from around the nation in an effort to stifle free speech and debate on climate change. Today, the Rio Grande Foundation joined the Washington-based Competitive Enterprise Institute (CEI) by signing on to a full-page advertisement in The New York Times highlighting abusive efforts by New York Attorney General Eric Schneiderman, U.S. Virgin Islands Attorney General Claude Walker, and a coalition of other “AGs United for Clean Power” to silence the speech of more than 100 businesses, nonprofits, and private individuals who question the AGs’ positions on climate change. 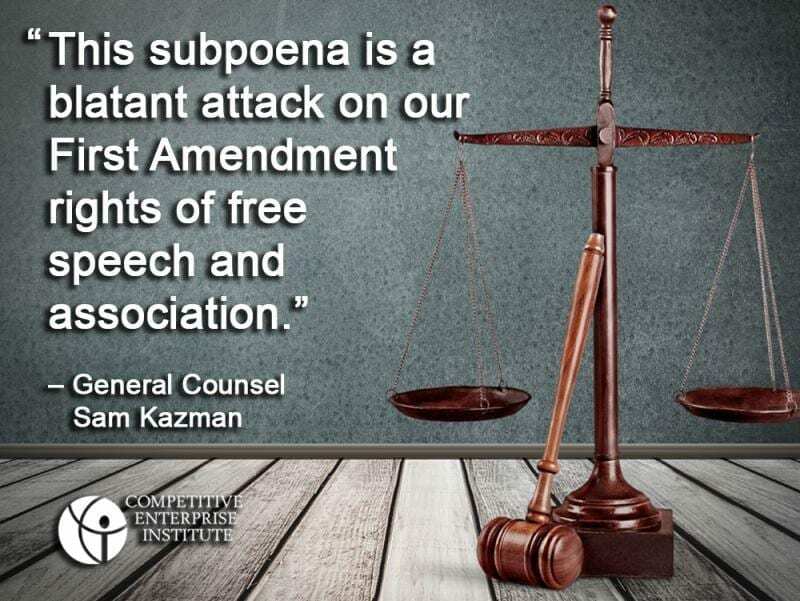 CEI has found itself squarely in the cross hairs of the AGs including aggressive subpoena’s and other efforts to undermine the non-profit organization. View the ad as a full color PDF here. Full text of the ad is below.